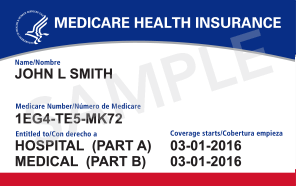 The CMS will begin mailing the cards in April 2018 in phases based on the state the beneficiary lives in. Californian residents should start receiving their cards this month. The new cards should be completely distributed by April 2019. If your mailing address is not up to date, call 800-772-1213, visit www.ssa.gov, or go to a local Social Security office to update it. Limiting California's Scope of Medi-Cal Recovery--Great News!